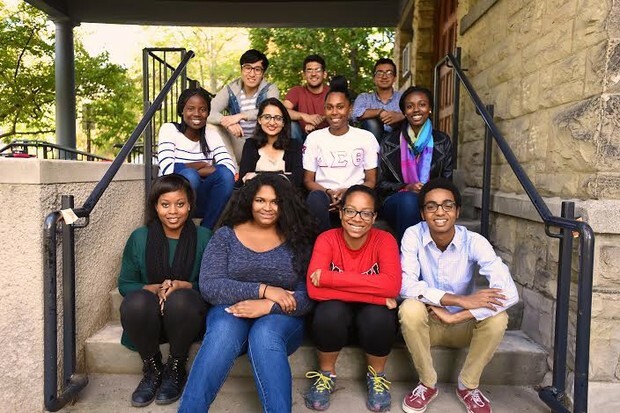 At last Thursday’s lunch we began a conversation about race, campus climate, Cornell and students’ experiences navigating the university. 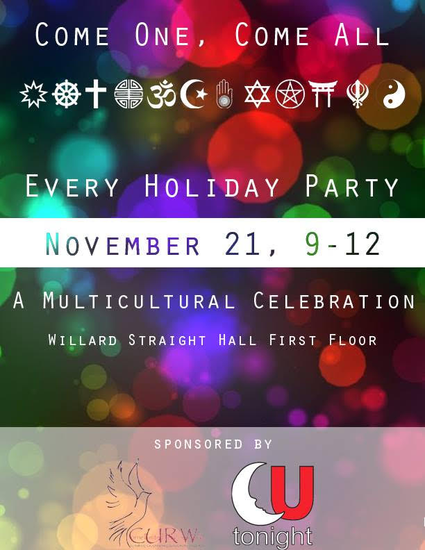 We will continue the dialogue on Thursday, November 19, from noon – 1:00pm. 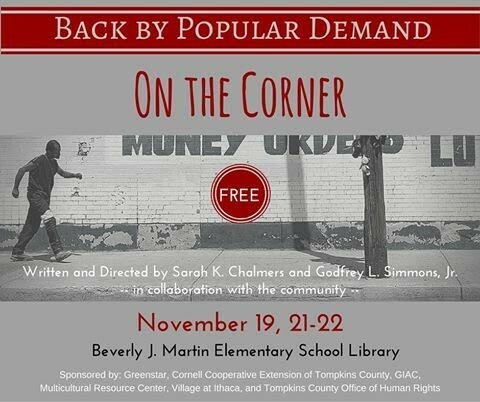 On the Corner follows Julian, an African-American teenager, and Officer James, the white police officer who detains him, as they travel from the Wall Street slave market of 1690 to a Bronx high school in 1978. When they disagree about the meaning of this history, their journey leads them to the heart of our divided America, and the possibility of a new future. Tickets: FREE. Donations Welcome. Reservations Recommended. Go to civicensemble.org or call 607-241-0195 to reserve a seat. BRASA proudly invites you to join us on November 19th for a lecture by Elizabeth Hordge-Freeman. She is Assistant Professor of Sociology with a joint appointment in the Institute for the Study of Latin America & the Caribbean at The University of South Florida (USF), and has a research agenda that emphasizes racial hierarchies, gender, stigma, and inequality in families. Her new project addresses how informally adopted daughters are exploited under the guise of family in Brazil. And after the lecture, Deixa Sambar will play some awesome Brazilian music and refreshments will be served! "Join the brothers of Lambda Phi Epsilon for an informal and open academic and professional panel and Q&A. Many of our brothers are accomplished and successful in their respective fields, and would like to take what they have learned to help fellow members, freshmen or upperclassmen, of our Cornell community. 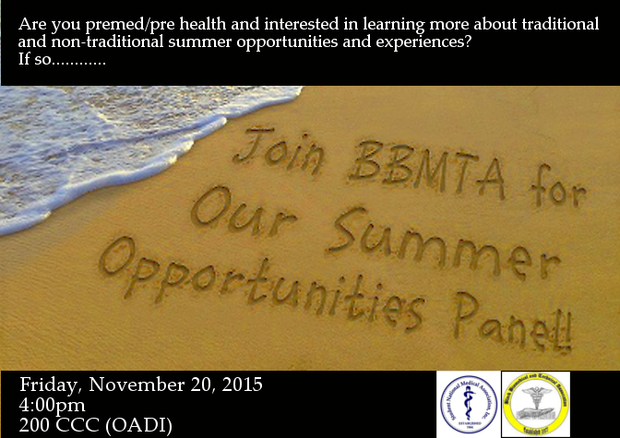 All are welcome to come, ask questions, seek advice, or just listen!" DESCRIPTION: "Y'all thought the Nupes were gone? Well think again. Come out this Friday to welcome the newest members of the Illustrious Iota Phi Chapter of Kappa Alpha Psi Fraternity, Inc. #ASinChapterProduction #TheNightShow #FreeTheNupes"
Cornell Health International is hosting the 5th Annual Global Health Conference this Saturday, November 21st from 11:00 am - 3:00 pm. 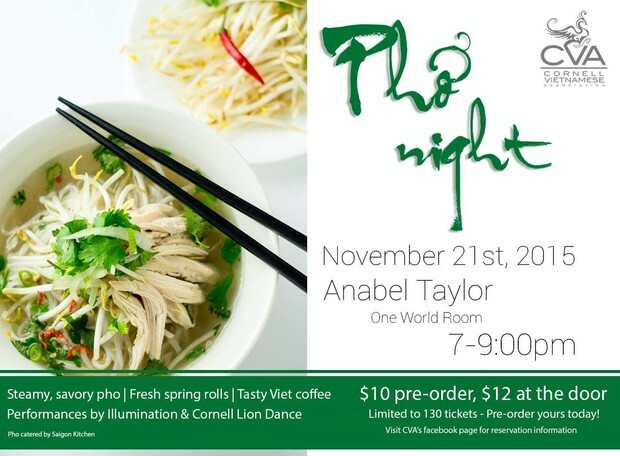 We have 3 speakers each assigned 1 hour blocks, and a networking lunch from 1:00 pm - 2:00 pm catered by Taste of Thai. 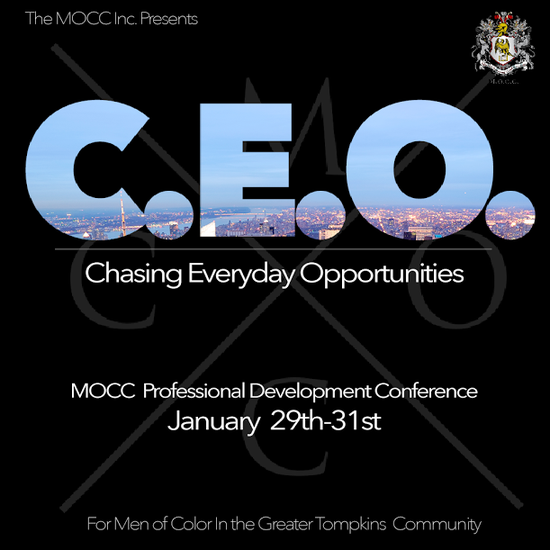 The entire event is free, however individuals interested in attending the networking lunch must receive a stamp by attending one of the morning presentations. You can drop if for any or all presentations, speakers' bios can be found on our website! The Distinguished Gentlemen of the Alpha Chapter of Alpha Phi Alpha Fraternity, Inc. would like to extend to you the invitation to nominate a female student whom you believe would make a strong contestant in the 2016 Miss Black & Gold Scholarship Pageant. 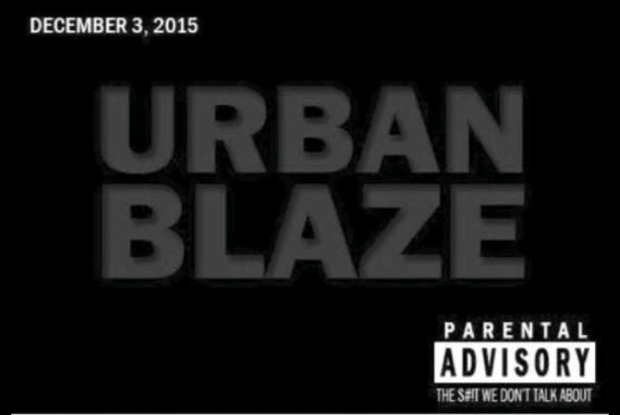 The Nomination Form will close on Sunday, November 23 at 11:59 PM. The Miss Black and Gold Scholarship Pageant is our way of showcasing the intelligence, talent, leadership, and unparalleled beauty of women on the campus of Cornell University. 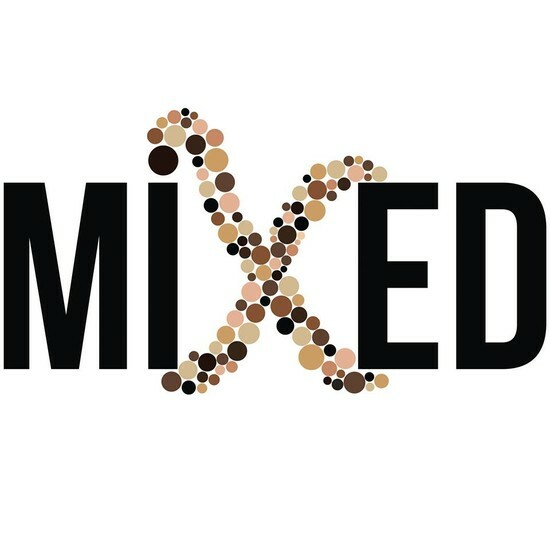 This pageant serves as an opportunity for young women to highlight their poise and self-confidence, while gracing the Cornell community with their intellectual prowess, oratorical skills, and captivating beauty. 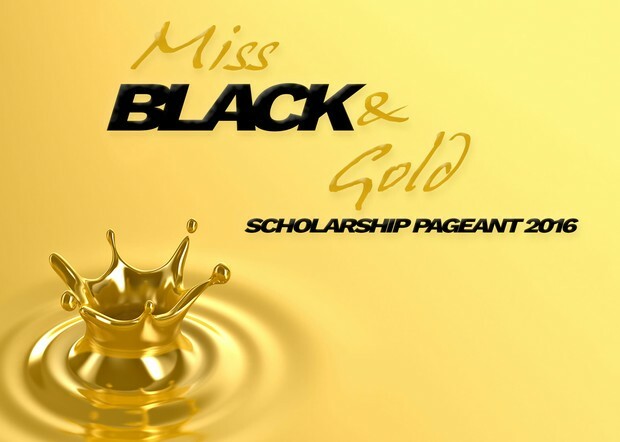 Scholastic excellence is the linchpin of this pageant and scholarships will be distributed to the pageant winners in our endeavor to help them defray some of their collegiate expenses. We thank you for your help in continually making this the most elegant event of the year. 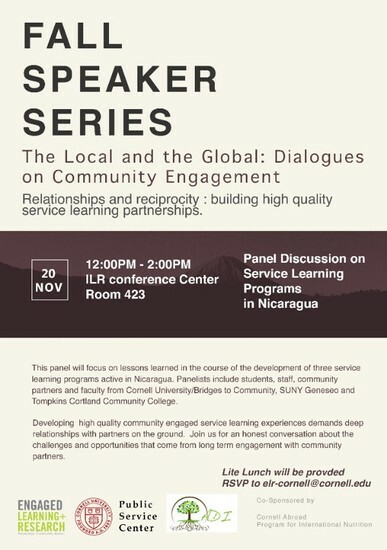 "Relationships and reciprocity: building high quality service learning partnerships"
Want to give back to Class of 2016? Staying for graduation? Looking to develop your leadership skills? Love event planning and logistics? 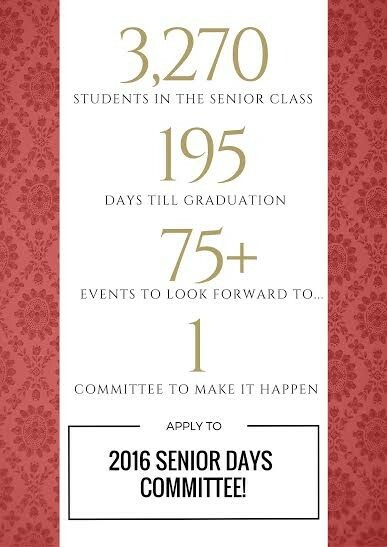 Apply here for the Senior Days 2016 Committee! 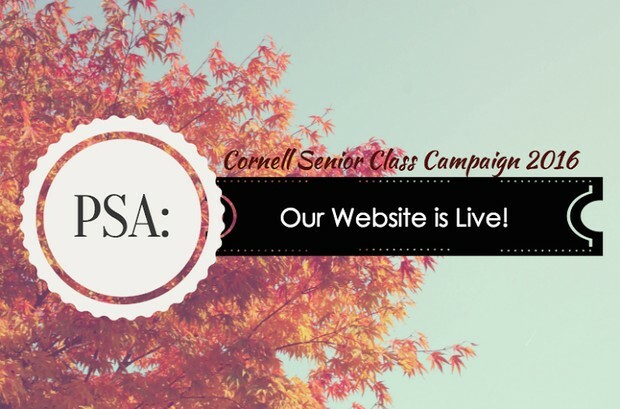 The Senior Days Committee works to plan exciting and fun events for seniors to celebrate their achievements at Cornell. Events include Wine Tours, Twilight Cruises, and the Senior Class BBQ, and you can be a part of the team to make this the most memorable Senior Days. Please contact Bobby Dougherty (rld238) or Dorothy Zhang (dtz4) with any questions! Anabel’s Grocery’s mission is to help fight food security on campus. 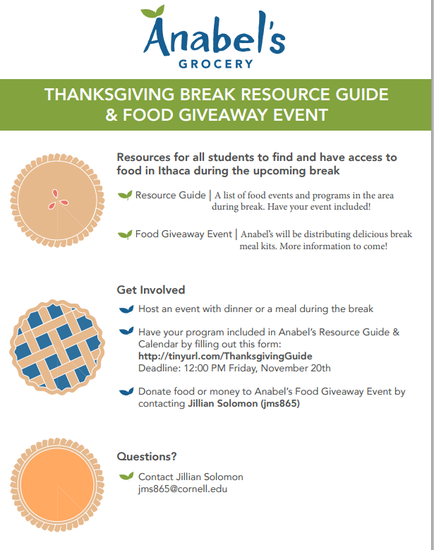 One way that we’d like to do this during the upcoming Thanksgiving break is to provide a resource guide to students that lets them know where affordable or free food options are on campus. If you are planning a program that you would like to be included in the resource guide, such as a potluck or a Thanksgiving dinner, please let us know by filling out the following form. Please complete the form by Friday, November 20th, 2015. Additionally, Anabel's will be giving away food to students who are staying on campus during break. 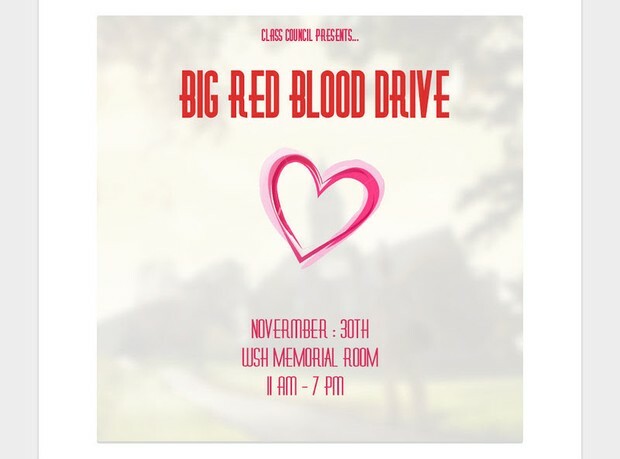 If you would like to donate food or funds, please reach out at jms865@cornell.edu.